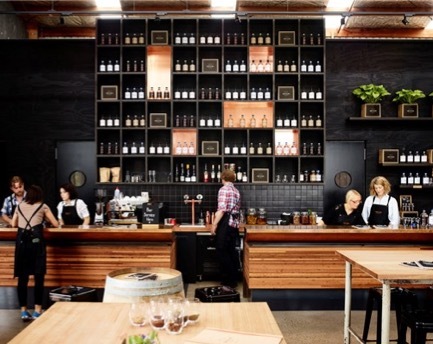 Becoming one of the most instantly recognisable Australian names in gin, Four Pillars distillery is making a name for itself in the heart of the Victorian wine country as the ultimate location for good times, hip vibes and amazing gin. Their tastingsare not to be missed. 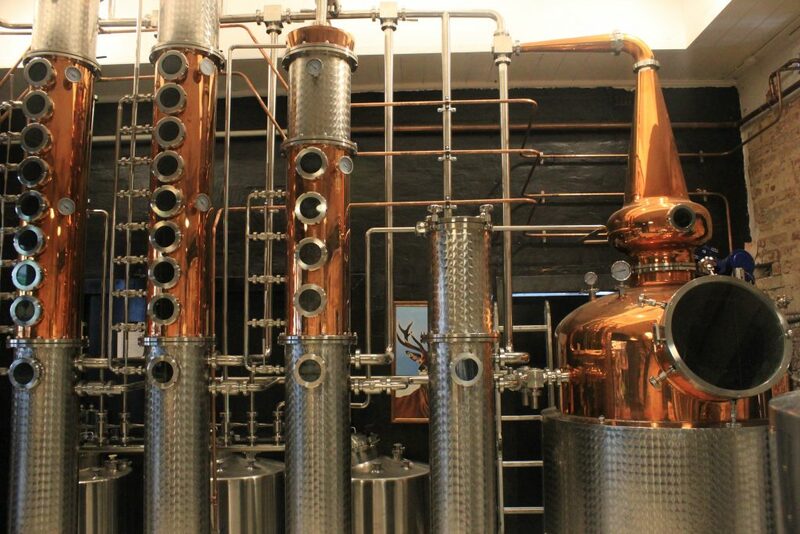 You’ll learn all about the distillation process and become an expert on the art of gin tasting, with a view into the distillery, you’ll try up to five gins from their range. If you prefer to sip on your gin with a little mixer, you can opt to sit back in this very cool converted warehouse and enjoy a gin and tonic paddle instead. This place is jam-packed with the best selection of locally produced cow’s and goat’s milk cheeses in Victoria. You can sample a variety from the counter or settle in with a cheeseboard for something more substantial. 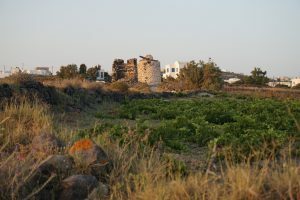 It’s always a busy hub of activity, but a trip here is a must if you plan to pop a bottle or two and need a little something to nibble on. Our favourite is the fresh cow Persian Fetta, marinated in olive oil, thyme and garlic. Yum. The new kids on the Yarra Valley block, Alchemy Distillers is pushing the boundaries of what we know about gin, how it’s produced and how it should taste. Housed in an old bakery from the 1800s, the décor is a little quirky but very hip. You can taste from their core range of Chamomile Dry Gin, Quinoa Vodka and Moonshine (unaged whiskey) – together with special small batch releases of spirits, often produced with unconventional ingredients. There’s plenty of outdoor space to chill here too which is great, or you can head inside and grab a cocktail from the bar. Although they do things a little differently, the passion for creating a quality product is genuine and a welcome addition to the Yarra Valley landscape. You heard correctly, chocolate and ice-cream in the same location. What more could you want? Set on a picturesque 40 acres of orchard with stunning views of the Yarra Valley, this is a must-eat location for any chocolate lover. There’s an overwhelming amount of chocolate to choose from, and heaps of free tastings too. Or if you’re serious about the sweet stuff, you can enjoy a private tasting and explore their unique range of milk and dark chocolate blocks all carefully crafted by their expert team of Belgian and French Chocolatiers, using only the best quality single origin and Belgian couverture chocolate and cocoa butter. 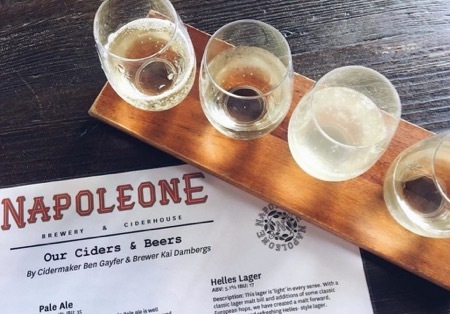 Whether you’re a beer drinker or cider fan, Napoleone Brewery & Ciderhouse is sure to impress, offering the best of both in a casual environment, reminiscent of your favourite local pub. Only estate grown fruit goes into their ciders, and you can really taste the goodness in every glass. Pull-up a stool inside the bar and enjoy a tasting paddle with a view into the on-site brewery, or soak-up the sunshine in the courtyard with a brew or two. 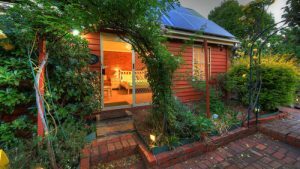 The relaxed vibes and refreshing ales make this the perfect place to end a day in the Yarra Valley. Discover more of what the Yarra Valley has to offer and enquire about a Wine Compass tour today.